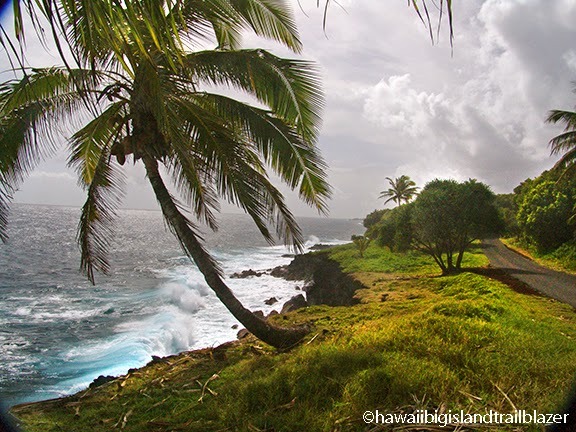 For more than a dozen miles, the Kehena-Pohoiki Scenic Drive in Puna (the far southeast of the Big Island) penetrates an astounding coastal gardenscape. And unlike other coastal cruises in Hawaii, this one doesn't twist in and out of valleys, since the island hasn't had time to erode and form streams. The country lane besides sea-washed bluffs is is a tree tunnel of breadfruit, palms, pandanus and many others right out the the tropical tree-finding manual. The scenic drive transitions to a huge ironwood grove that marks rustic Mackenzie State Park, and then Isaac Hale (ha-lay) Beach Park, home to surfers and a nice little hot pool. Ahalanui Warm Pond Park, one of the best freebies in Hawaii, is a couple miles after that. And then, a few miles later where jagged fields of lava make up the shoreline, is the oasis that is the Kaphoho Bay Seapool, where tepid, crystal clear waters are a fountain of youth. 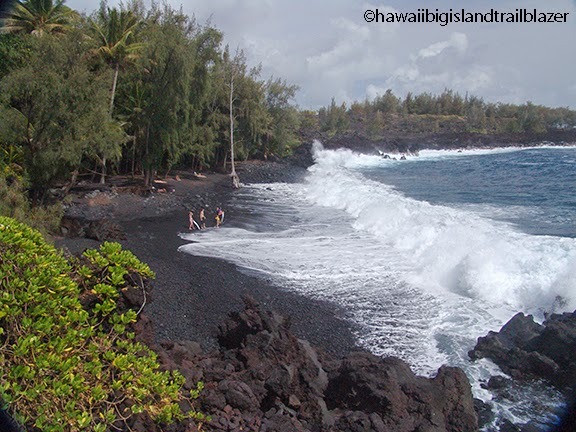 Hawaii the Big Island Trailblazer has more information on these and numerous other cool places in remote Puna.